February 15, 2011  The tenor saxophonist writes compact little themes that sound like they were plucked from the choicest parts of classic solos. Then he gives them to his trio, which swings like nobody's business. August 12, 2009  The first album recorded live at the Vanguard was made in 1956. 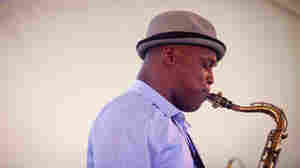 Noisy but soothing, simple but dense, tenor saxophonist J.D. Allen's trio is primed to confront jazz history's shadow on its home turf. July 7, 2009  In this session, saxophonist JD Allen performs songs from Shine, his second consecutive trio recording featuring bassist Gregg August and drummer Rudy Royston. 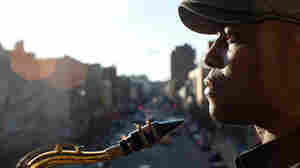 The songs all feature Allen's calling card: a forceful tenor saxophone that blows mightily. December 6, 2009  Looking back on the year in jazz, much of the focus naturally falls on young talents such as Vijay Iyer. Still, some of 2009's key records also evoked bygone jazz eras with such creativity that they might signal a new wave of New Orleans and Brazilian jazz. 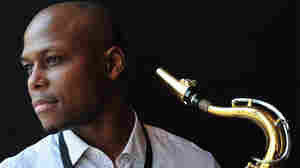 May 8, 2011  If you poke around enough, you can find the story of saxophonist JD Allen's internal demons, and the way he's triumphed over them to start a family and a moderately stable career in jazz. For many, though, his band's short, sweet, swinging music is winning enough on its own. 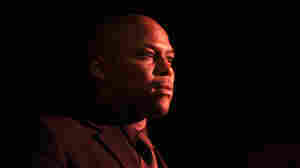 January 4, 2011  The great saxophonist was introduced as "John D. Allen" on Toast of the Nation 1994. This year's broadcast features Allen as the leader of his own hard-charging trio, with special guests Ron Miles on cornet and Henry Butler on piano.